INDUSTRY.co.id - Jakarta - One of the e-commerce platform of Indonesia, Bukalapak become the main sponsor of IIMS 2018. There are some activities that will be the highlight of the cooperation. Open Music becomes the main theme of IIMS Stage. The main stage that lies between the exhibition and Carnival concept will feature several homeband on each day and closing ceremony such as IIMS Award, PAHAMI Awards, Miss Motorshow, and Guest Star. 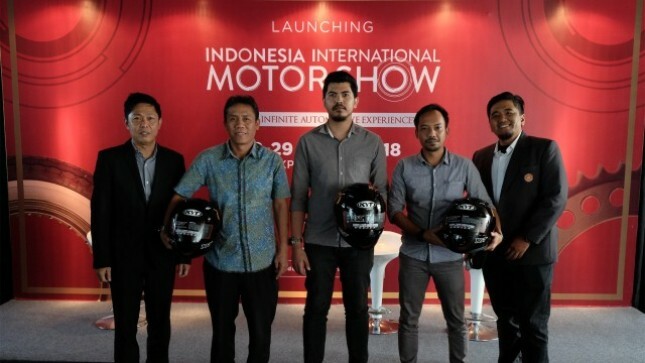 "All our programs at the Center Piece Of Carnival, the IIMS Wheel Giant, and the collaboration program with Bukalapak will be the magnet of this year's event, so that the concept of event that combines all the automotive elements is increasingly recognized and characterized by every IIMS implementation" said Hendra Noor Saleh, Project Director of IIMS. In addition, Open Contest is a theme for IIMS PAHAMI Audio Contest held during IIMS 2018. Audio contest will combine 5 World Audio Associations ie EMA, IASCA, CAN, MECA, and USACI. Contests involving these 5 associations are rare and unprecedented events. The winners of each association will compete for the title "Champ of The Champ". There are also Corporate Social Responsibilities (CSR) activities which are health check and blood donor by the name of Open Transfusion, this program can be followed by anyone present at IIMS 2018. Playground is the theme for IIMS For Children. Playground is an educational program for children aged 6-12 years on safety in driving and provide knowledge about traffic early on. Even more interesting is the competition for the title Miss Motorshow will be held again. With the name Open Talenta, contest participants Miss Motorshow is a brand representative of all participants who follow IIMS 2018. "We believe that not only cars or motorcycles are just waiting for IIMS 2018 visitors," said Hendra.